They are celebrating their 'autumn wedding' bathed in the yellow warmth of autumn sunshine. Their wedding day the big pomegranate tree in the garden had lost its leaves and was drooping heavily with its magnificent display of crimson-red fruit. The surrounding woods are adorned with a transient beauty and the lawns are carpeted in gold, scarlet and crimson leaves. The palette for the décor and accessories goes from medium-red, pomegranate, vermilion red to a more intense ruby- red and crimson. These colours were applied to the floral arrangements composed of pink avalanche and iguana roses, hypericum berries, star chrysanthemums and red-oak leaves. The delicate wedding dress fits in perfectly with the elegant authentic country scene. The pomegranate is the recurrent element of the décor: it appears on the original water-colour invitations and place cards hand made by DreamOnWedding, on the festoons, on the centre-pieces and even on the wedding cake. The table is set with antique plates in crimson and Liberty style cutlery. The antique tables and chairs are covered in bordeaux velvet. Wedding in Assisi - Stefano and Gemma have one of those relationships that everyone just loves hearing about. They met, fell in love and EVERYONE loves them together. The got engaged in their wedding venue this past winter and their love for all things country made Le Silve di Armenzano the absolute BEST venue for them! It was perfect!! This July, we arrived to this amazing castle in the middle of green hills, just an hour from Perugia. It was romantic, quaint and a perfect backdrop for Emilie and Bart’s colorful color palette! Choosing a first dance wedding song seems one of the easiest decisions. Then, couples understand how many options are out there, the pressure can start to mount. Your first dance as husband and wife is a chance to define your relationship and invite your loved ones to share in your wedding day. Garden Party Wedding styled shoot in Assisi Enjoy my absolute favorites from our Garden Party inspired shoot! We also wanted to give a HUGE thank you to all of the amazing vendors who participated in the shoot and help us ensure that every little detail comes together perfectly! Thank you all SO much!!! This couple from England planned their destination wedding in Assisi and after they had a special reception in a beautiful Italian castle in Umbria. Lavender wedding styled shoot Assisi This was the opportunity to host a STYLED SHOOT with incredible Umbrian creatives!!! Vendors from all over the area with all different businesses came together to collaborate on a stunning shoot that could NOT have been better! These ladies (and gentlemen) ROCKED it and we are so excited to be sharing our images on the blog today! The whole Umbria region, but especially the area surrounding Assisi, has a great religious and spiritual tradition, due to the connection with history and life of St. Francis. Santa Maria degli Angeli hosts a variety of anecdotes related to the Saint. For instance, here is found the thornless rose garden where he rolled, naked, in an attempt to overcome temptation. Micol and Daniele know each other since they were children: their love is deep and long lasting and their wedding has a great spiritual meaning. That's why they have chosen such a spiritual place to celebrate it. The ceremony took place at the church of the nuns Franciscan Missionaries of Mary (Chiesa delle Suore Bianche). Its entrance is very simple, while its interior is enriched with frescos portraying scenes of Christ's life. This is a very sweet part of the celebration: after the Elevation, the groom (instead of the priest) gives the Host and the Chalice to the bride, and vice versa. After the ceremony, the couple took advantage of the late-afternoon light, very warm in summertime. The bride told: "On leaving the Church, the sunlight became an active part of the whole organisation and it seemed as though dancing sun rays appeared from behind an invisible back-drop, filling the hearts of everyone with love and joy." They've had their portraits taken in the nuns garden, a place they are very fond to. On the background, you can recognize the majestic Basilica of Santa Maria degli Angeli and its dome. I love this light and feeling. Thanks a lot to Micol and Daniele for sharing their experience and their love with us. rides make hundreds of decisions to plan the perfect big day and we want to help them make some of those decisions easier. Here some suggestions every bride can make before the wedding to help ensure the day is everything the bride envisions, and maybe even more! If we’re being honest, all of the wedding day images are important, but the real favourites are almost always from our time with Bride and Groom :D not only for their beauty, but because this is such a sweet moments of the day. For this brief moment in time, you will be alone with your groom! This time is for you two to step back and just love on each other as a married couple and allow the photographer to capture it. You will never get this moment back again and we always try to educate our couples on this time during the day! What you should know about our wedding albums! During the planning of a wedding, few decisions are as delightful as choosing your wedding cake. What could be better than sampling slice after slice of delicious cake? The more informed you are, the better the decisions you will make. Here are some useful tips. Begin your search for your cake designer about six months before the wedding, even sooner if you want an in-demand pro. Some bakers' schedules start filling up about a year in advance. It's best to start considering what you would like soon after you've chosen your reception site and the style of your wedding. It may help to look at photographs in magazines and books or online for inspiration. Think about the flavour and the style you desire to help narrow your focus. The ideas you find may help you come up with creative ways to incorporate your favourites so they fit your wedding. Try to see samples of the kind of decorations you want, such as gum-paste flowers or marzipan fruits. The right baker will be able to not only carry out your wishes, but tell you if your vision for your cake is realistic. Choose a cake that's compatible with the style of the venue, the season, your gown, the flower arrangements, or the menu. If you want colourful accents you can give your baker fabric swatches. Ask recently married friends and family members for their recommendations. Many caterers, reception sites, photographers and florists have favourite bakers. As you start setting up appointments, ask for each baker's tasting. At tastings, clients are invited into the bakery to sample exemplary cakes, ask questions, and review photos. As for the flavour of the cake, you can see the different colours. Often the layers are white or yellow cake, but there's no reason they can't be chocolate, lemon, carrot, or hazelnut. The fillings are another way to bring in more flavour. In addition to traditional creams, you can select jam, lemon curd, fruit purees or chocolate fudge to complement the cake. Anyway remember! The flavour of the cake should be as good as any dessert you'd serve to guests. Do not compromise taste for the look of the cake. Generally, three tiers will serve 50 to 100 guests; you'll likely need five layers for 200 guests or more. If the reception is in a grand room with high ceilings, consider increasing the cake's stature with columns between the tiers. Many bakers agree that the idea of a mini cake. Not only does each cake require its own decoration. They look amazing being passed around by waiters on sleek silver trays. You can forgot a single cake altogether and opt for a trio of smaller cakes or even cupcakes, doughnuts, or pastries displayed on tiered cake stands for an impressive effect. Wedding cake often is priced by the slice. The more complicated the cake the higher the price tag. Fondant icing is more expensive than buttercream, and if you want elaborate shapes, vibrant colours, or handmade sugar-flower detailing, you'll pay for the cake designer's labor. 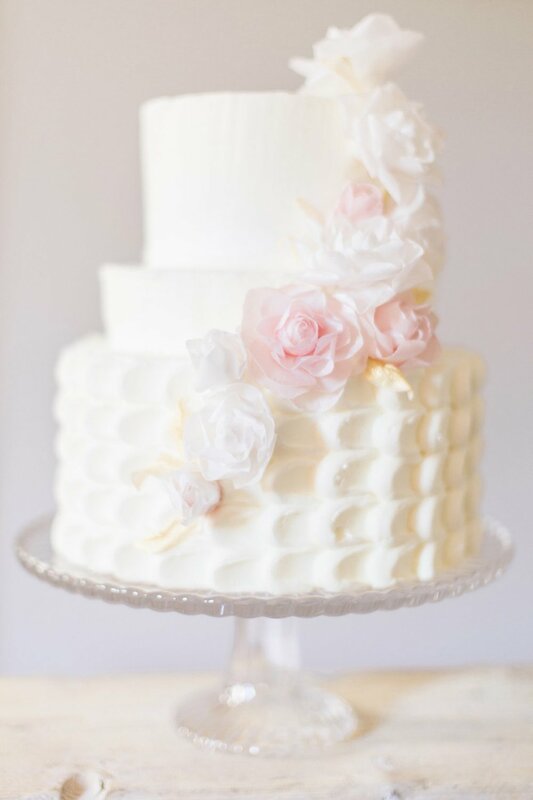 One way to save money is to order a smaller cake for displaying at the reception and a sheet cake or two that can be cut and placed on plates in the kitchen; the sheet cakes don't need to be as elaborately decorated, and the dessert can be served more quickly, since the caterers can slice it as you are cutting the wedding cake. Garnish with seasonal flowers and fruit for an elegant but cheaper effect. To ensure you get exactly what you want, check that all the details, the style and flavours of the cake, the place and the date of the wedding. If you want to garnish your cake with fresh flowers, find out if the cake designer will work with your florist. If you'd like the cake to be decorated with fresh flowers, the baker should be able to tell you what blooms are edible. Or he can arrange to order nontoxic flowers, which haven't been sprayed with pesticides but aren't edible and should be removed before serving. If you're having an outdoor wedding in a hot climate, stay away from whipped cream, meringue, and buttercream: They melt. Ask your baker for all informations. Your cake will likely be on display before it's cut and consumed. Make sure there is a designated cake table that allows the most elegant presentation possible. A round table is perfect for round cakes, but a linear cake design may call for a rectangular table. Once you have a dessert table, have fun dressing it up. 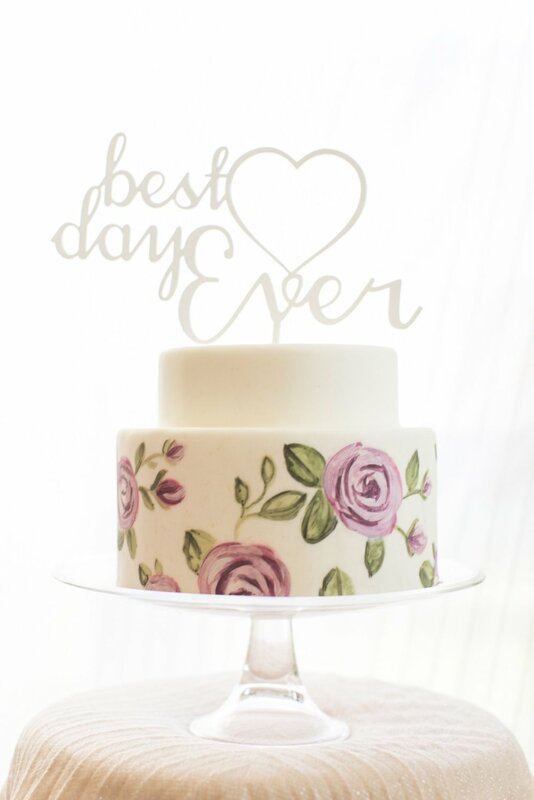 There are many beautiful and unique ways to top off your cake, so you can avoid plastic newlyweds figurines. You can choose a modern plexiglass top or a wooden figurine for a rustic look. Alternatives: flowers and fruits, ribbons, monogram, photos, cookies. Colour is a great way to convey the season, along with sugar icicles, pine cones, flowers and fruit. Cakes are being covered in stones, crystals, pearls, even embroidery, all made of sugar. Monograms are very much in vogue. Monogrammed tiles made of sugar can be applied to the top or sides of the cake.Adding elements from nature is always beautiful; look to the centerpiece flowers or the environment surrounding the reception. For a wedding on the beach, you could adorn the cake with seashells. A classic solitaire, an halo ring design, a three stone ring? Gold, silver or platinum? A diamond or a coloured stone? There are so many types of engagement ring!!! 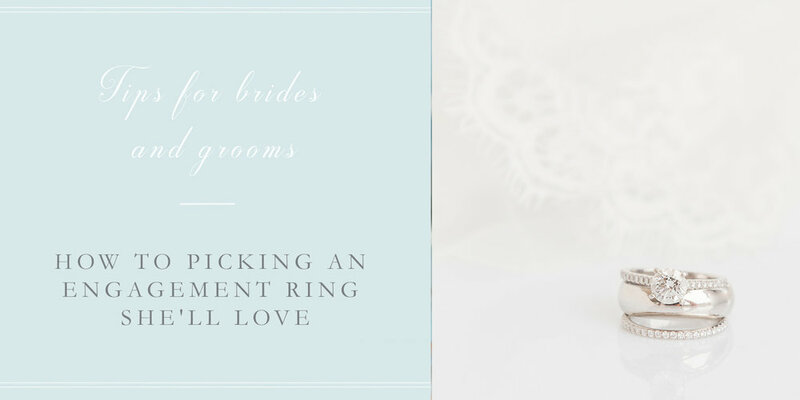 To help you in that, here is our guide to picking an engagement ring she'll love! I can't start shooting if you don't know how your camera think!!! Let's talk about light meter! 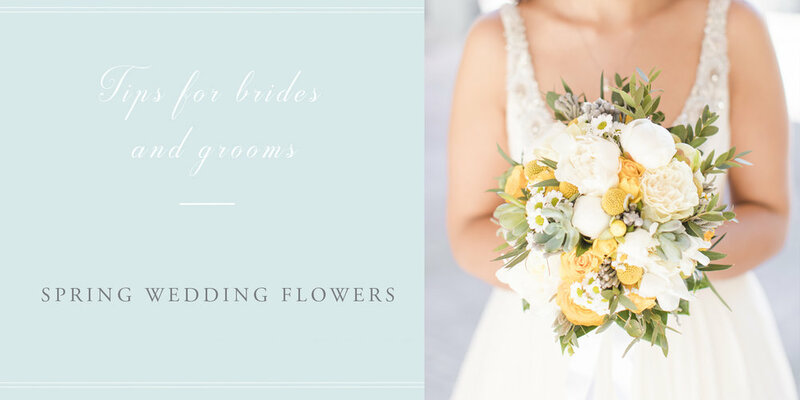 Our favourite spring flowers for your wedding. Peonies, roses, ranunculus or Hydrangeas? Just back from Manila, Philippines, working with the finest wedding industry there. I worked there during weekends shooting wedding, and during the week days at the Sunny16lab.